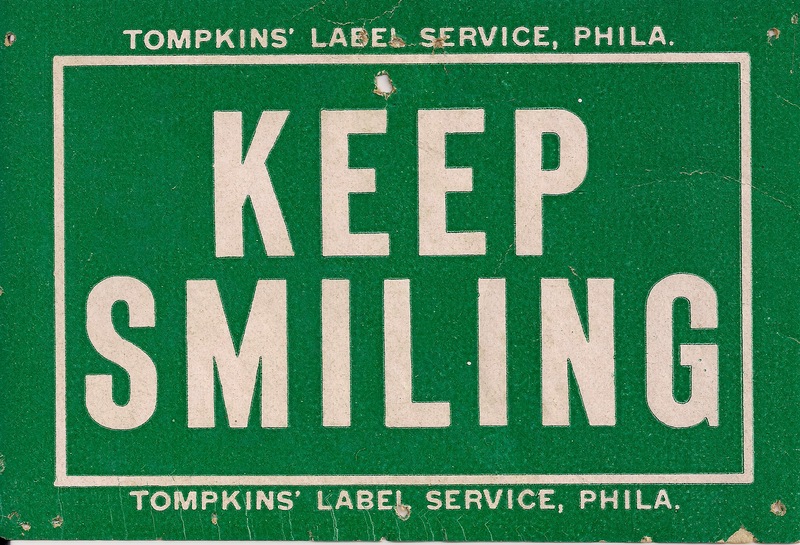 When I was growing up, my mom had a card on her kitchen bulletin board that had the simple phrase, “Keep Smiling.” I imagine she must have looked at it often when she was raising her five children. I think my mom was on to something. Today, there is scientific research on the positive effects, even competitive advantages, of being happy and grateful, with many authors and speakers spreading the word. I had the opportunity to hear Shawn Achor, author of The Happiness Advantage, talk about positive psychology. In fact, I heard him twice: once at an executive offsite held by my company and again a few months later through Common Ground, a speaker series sponsored by my children’s school. He surprised me by giving the same talk to both of these audiences. Clearly his message is equally applicable to both leaders and parents. Make a life habit out of gratitude. Write three things at the beginning of every day that you are grateful for. At dinner, share things that you are grateful for with your family. Keep a journal. Write about one meaningful, positive experience you had over the past day. Do it every day for 21 days, and it will become a habit. Exercise every morning. You will be more successful with your daily responsibilities because of it. Meditate. Take your hands off your keyboard and watch your breath for two minutes. You will learn to focus more and multi-task less, which will reduce stress. Practice random acts of kindness. Write a two sentence email to thank someone, personally or professionally, before you read anything in your inbox. Start off your day expressing gratitude. Soon after hearing Shawn speak, I added “Gratitudes” to the agenda for my weekly staff meetings. I’d start the meeting with something I was thankful for, either at work or at home, and then I’d ask my staff if they had something to share. I liked the way I felt after doing this. The stress of whatever I had been dealing with that morning was left behind, and I was able to focus fully on the meeting. I also learned some neat things about my staff and what was going on with their groups or in their personal lives. I wish I could say that I do the same thing over the dinner table at home. On occasion, we will share what we are grateful for, but it is not a daily habit. I think I need to start it. If my kids are reading this post, be prepared! What do you think of Shawn’s five small changes to improve optimism? Do you already do some or all of them at home? At work? I’d love to hear from you. I like the five steps. They seem to be easily completed and not a very big change compared to the benefits that can be gained. It is a shame we cause much of the stress in our daily lives by simply trying to do too much with what time we have. I think i will try to incorporate this approach into my daily routine. Shawn Achor also talks about removing small barriers that prevent you from making change. He even started sleeping in his gym clothes so that he had one less excuse to not exercise in the morning! Good luck with the incorporating change into your life, Joe. I actually took 15 mins (baby steps I guess) after lunch and walked on the treadmill in our company provided exercise area. It certainly did not remove any excess weight, but did give me a nice diversion. This one is going into the Thanksgiving newsletter! Thanks Karen! I loved hearing him speak also.